Has Xiaomi redacted the Communist red star from its mascot? The hiring of Hugo Barra as Xiaomi’s new head of global operations seemed to confirm that the Chinese phonemaker has global ambitions, and the transition of any firm from domestic player to international player surely requires adjustments in branding. 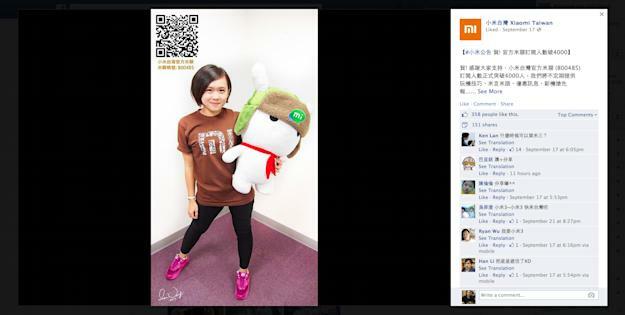 In the case of Xiaomi, it looks like one of those adjustments might be its mascot’s attire. In most of Xiaomi’s marketing materials, its cute bunny mascot dons an Ushanka (the “furry Russian hat”) with a red five-pointed star – a hat commonly worn by Communist rebels (the red star is recognized as a universal symbol of Communism). 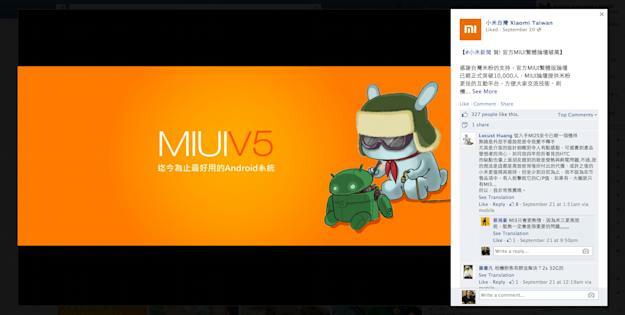 Xiaomi’s bunny mascot with its beloved hat – and red star. But earlier today we noticed that in certain photos on Xiaomi’s Facebook fan page for Taiwan (where Xiaomi has been selling phones since April this year), the red star has been either replaced or removed altogether. Meanwhile, in this advertisement (posted September 20th), the red star looks like it has been painted over. These revisions aren’t consistent, however. 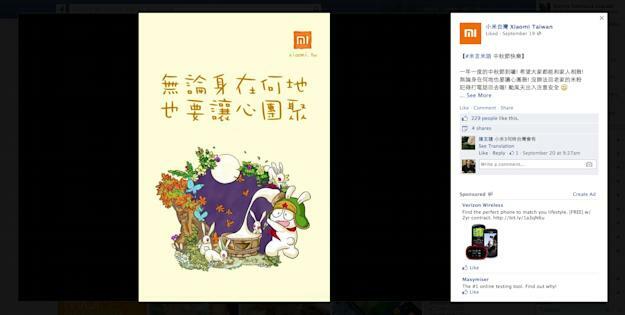 The bunny sports a five-pointed star in the cartoon below (posted September 19th), while the traditional Chinese text indicate that the graphic was intended for audiences outside mainland China. Of all the Chinese companies with an international reach, Xiaomi would certainly rank among the least politicized (If Huawei smartphones came with a red, five-pointed star printed above its logo, it’d be in even more trouble with US Congress). Meanwhile, in the entry for “Red Star,” Wikipedia notes that Heineken, San Pelligrino, Macy’s, and Wagamama are among several companies that use the image as part of their branding. Of course, the ubiquity of the red star doesn’t erase its political connotations, especially when it’s on an Ushanka. And even if the red star itself has been depoliticized in China, that doesn’t necessarily apply outside of the country’s borders. We’ve reached out to Xiaomi for a statement on the matter. Do you think Xiaomi should remove the red star from its mascot’s hat? Let us know in the comments. The post Has Xiaomi redacted the Communist red star from its mascot? appeared first on Tech in Asia.